Malaysia has a high rate of accident. In order to minimise the above, drivers should be made conscious of road safety as well as to follow road rules and regulations. Young or new drivers, that is the “P” drivers unfortunately, are unaware that their P License can rather easily be suspended or “withdrawn”. In fact, the “P” License is a Probationary License for 2 years. Drive carefully and safely or you might end up loosing it. In this short article, I shall endeavour to explain the best possible manner you can prevent your P License getting Suspended. This Demerit System involves around APJ Sections 35, 35A, 37 and 38. Drivers under the category of CDL (Competent Drivers’ License) and the “P” category beware! Under its list, some 18 items of traffic offences are listed. Points ranging from 5 to 15 are given when you are summoned by the J.P.J / Police or the Courts. 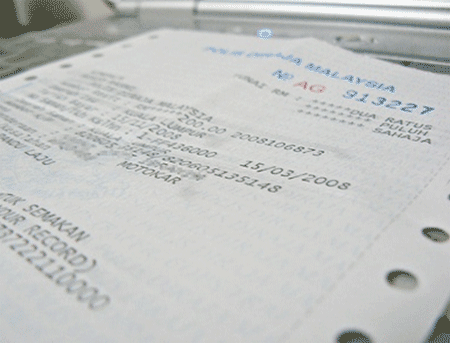 When Fines are paid, a system of Records is created at the Putrajaya JPJ Headquarters. As this article solely deals with the problem of “P” License only, thus how it gets being suspended will be addressed. First, avoid getting “hit” by APJ Section 41-43 (driving recklessly / dangerously / undue care) which carries 15 demerits points, which is Way Above the suspension limit of 10 demerit points. (You accumulate 10 points in 1 year). This will end your “P” License. Secondly, avoid getting summoned also under Section 45B (4) or 45C (6) which brings 15 points too. a) not having “P” Stickers on the left hand corner and rear windscreen of your car. b) beating the “red” traffic lights. c) speeding over 40 km/h in designated areas (Section 40/96 APJ). Remember, therefore getting summoned under Section 41-43 (15 points) and Sections 45B (4) and 45C(6) and Section 40/96 APJ ’87 WILL END your “P” Lifespan. Finally, remember too your “P” lasts 2 years. After this period, ensure you convert it into CDL (Competent Drivers License) within 1 year period. iv) RM30 per year. Maximum 10 years. You can only do the above at any J.P.J office. Contact your driving school instructor / institute should you face any difficulties. Hope you will be able to prevent your “P” License from being suspended. By the way, if your P should ever be suspended, you are not allowed to Drive during the suspension period nor are you allowed to apply for any form of License (of any class) from the time your license is suspended. One good news to you anyway! A person whose P license is suspended will have to resit the “Practical” aspect (slope, side parking, 3 point turn) and the “Road Test” all over again. However, you can be exempted from resitting the Highway Code test. 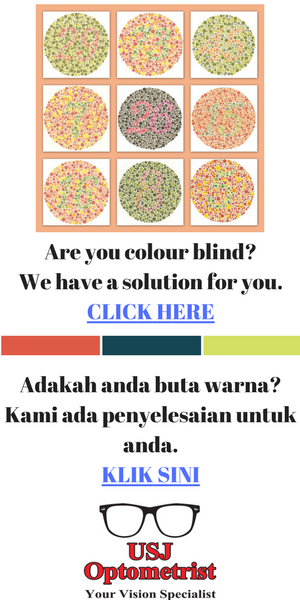 You have first to apply for permission from the Pengarah J.P.J. in Putrajaya. If you feel all this is a hassle, just sit for the undang-undang test (Highway Code Test) all over again. Hi sir, i would love to seek for an answer. I am still under the P period and i had speeding summon under S79(2) APJ 1987 PANDU LAJU. How many demerit points is it account to? Depends on how fast you were speeding. Suspension of license is up to J.P.J. in Putrajaya. i was so scared when i received the summon letter. my license still uder P period. “TIDAK, tetapi saya akan di KOMPAUN ATAS KESALAHAN TIDAK MEMPAMERKAN P..
My P licensed will end on 18/12/2009. I ‘m very worried about this. can you give any suggestions, what should i do? Should I still go to the JPJ office to convert my P license to CDL? I already check for JPJ’s blacklist as well as kejara oline, but the system was not updated,mean I do not have any record yet. Thank you for any advise. Your “P” can only be changed to C.D.L. only after 18/12/09. Hold on to your compound until 18/12/09. Then quickly take out your C.D.L. license. After that, do settle your compound summons. For an expired P license. He said that my licence may be suspended as I am driving around with an expired P. Is this valid as you said above that I have 1 year to change to a CDL after the P expires. Sorry, it looks as if you have misunderstood statement. You cannot drive with expired “P”! 1 year duration is for you to convert the “P” to C.D.L. (passed license). I was summoned for running a red light on 11/12/2009 and my P license will expire on 07/01/2010. I read that I have a 30-day period to settle my summons. Problem is I don’t mind paying, I’m just scared that I will lose my Lesen P (10 point deduction right? It’s my first offence) once i settle it. Should I simply convert to CDL ahead of expiry before I pay my summons? Is that possible (cuz I’ve a long time still)? You can only convert your “P” on 7/1/2010. After that, settle your summons. Whether any action by JPJ, Putrajaya will be decided by the authorities. Im a P license holder and it is expiring on 19/2/2010. I was involved in an accident earlier and a police report has been made. My question is will the police officers revoke my P license if im at fault for the accident? Depends on what type of accident you’re involved in. Have you been summoned for the accident? Revoking a person’s license is the duty of J.P.J. in Putrajaya. Personally, I feel you should not be unduly worried. Wait for Putrajaya’s advice. Hi my P licence expired on october 08 but as i was studying overseas therefore i couldn’t renew it till now im back for 2weeks and its been 1yr and 2months. what should I do? You will now have to contact J.P.J. Headquarters in Putrajaya. The authorities will then advise you what steps to take next. Probably, you will have to re-sit certain parts of your practical test. Hi if i got the L licence of motorcycle , may i drive my motorcycle on the road? Yes you can. Affix the “L” in front and back. But my teacher say cannot it is because the L licence , only can be use by learning with teacher , is it true? “L” license for motorcycles permits a student to ride on his own. Only a car needs a driving instructor beside him. Your instructor has given you wrong advice. My daughter’s “P” driving licence is expired on the 29 dec 2009. But she is in United Kingdom to further her study now. can I do the renewal for her to obtain the CDL licence? I understand that to convert P licence to CDL licence, I have to do it in JPJ and not in post office. What do I need to bring? Do I need to show prove that she is in UK? what kind of prove? i) 1 piece colour photograph. iii) The “P” license (original). You can also engage a runner to do the CDL for your daughter. CDL is RM30 per year. You can do it for 5 years (RM150). Can you tell me about the demerit point system and what are the offences that increases the points? A good question. Looks as if I have forgotten to write an article to explain about this system. As such, please be patient a little longer. I will write an article on it very soon. Date of your renewal to “P” is still a long way of. A few days late in renewing your “P” does not matter. my P license will expire on 19/03/2010. I was summoned for running a red light + failed to provide license (that time i forgot to bring my wallet out, all my id is inside) (that time it was yellow light, & i already beyond the stop line, i cant reverse, the car behind is too close with me, and i cant just stop at the middle, it will block other people. so i go on, but police stop me.) and if i paid my summon, i will get 15point!!!!!!! i dont want to be like that!!! can i do “rayuan” so that i can use my license to drive to school to study !? can sir help me with this. (that time i was no choice that i have to go on the red light. I WAS NO CHOICE!!!) PLEASE HELP. I am uncertain as to whether you’ve been given 1 or 2 summons. If you had reliased earlier that your license is important to you, you wouldn’t have driven the way you did. In future, when seeing a yellow light, you should slow down and get ready to stop. The only advice I that can be given to you is hold on to your summons till 19/3/2010. Then convert your P to C.D.L. Then go to settle your summons after that. i worried it will effect my roadtax, so i will go to pay it within a few day from now (around 9/2/10 to 12/2/10)after paid,it will be a kejara record that will effect me, can i made a rayuan..?? Your running a traffic light will not in any way effect your changing of your car road tax. So go ahead and get your road tax. the summon i get is 2 offences in one summon paper (i go to myeg.com to check, the saman is in the PDRM site, but nothing at the JPJ site). so it’s mean no problem to renew my road tax ??? inside the summon paper, got a line of word that wrote “KAMU ADALAH DENGAN INI DIPERINTAHKAN supaya hadir sendiri atau melalui penguam di hadapan makamah majistret di ………. ” what that’s mean??? mine got write something. it say’s i have “to appear in person or by counsel before magisttrate court at [ this part i cant read what he’s wrote ] on 3/3/10, time [ cant read what he’s wrote also ] “. I dont konw what the police wrote, [ his writing is very bad, i cant understand what he’s wrote ]. sir (cikgu yap) say i should wait till 2010, then only pay my summon. But what if i dint go to court??? or pay……. will i get black listed??? will police come to arrest me!? 1st time got summon, im worried, so im asking many quwstion, sorry. (mine 1 is PDRM summon). You have been given 2 summons. Try appealing for lower fines at PRDM. You might get a lower amount. Most PDRM summons are compound summons payable ideally within 1 month. Should you fail to settle the above summons within 1 month, then you have to appear in court. My advise is, pay up the summons as soon as possible. Don’t worry, the Police will not come to arrest you. Pay the summons as I have advised. hi sir..my situation is totallly different..someone hit my car last year and the police say its my fault..there were no casualties or injuries..jz a scratch on his car..we both filed a police report which was the biggest mistake of my life..i was given summon for carelessness..i din pay up my fine n din show up in court..i received a letter sayin a warrent for arrest has been issued..my “P”license ends in 12/6/2010.. what do i do?if i hold it out for another 4 months till i get my C.D.L will anything happen?can i hold out for 4 months? A warrant of arrest as you say has been issued against you. You have to quickly settle the earlier summons. You have no other choice. Your “P” maturity is 4 months away and you are advised not to wait too long. can i still take my C.D.L is i dont pay my summons? Means your saying that im gona lose my license? Warrant of arrest has nothing to do with you losing your license. Whether you can take out your CDL by 12/6/2010 depends on whether J.P.J. Putrajaya takes action on you under the Demerit System. does d warrant of arrest and summons have a different charge?if i pay up my summons woulndt they record it into the J.P.J system?from what i know if i pay up the summons it will be recorded into the system and my license will be revoked. Is that true?if i don’t pay it means it still hasn’t been recorded into the system. Sorry if i ask too many question. One more thing i would like to ask is about the warrant of arrest. I’m living in J.B, the warrant of arrest does it come from J.B itself or bukit aman? Warrant of arrest is issued as you have not paid up your summons within the time stipulated. Whether J.P.J. Putrajaya decides to take action on your or otherwise depend on them entirely. As your offence seems rather trivial, I feel consideration will be accorded to you. In my personal opinion, I doubt very much if you license will be revoked. I was wondering how long does it takes to get my C license? Is it going to be processed on the spot or have to wait for a few weeks? My P license expired on 3rd of Aug 2010. You must be referring to your CDL. Go personally to JPJ office. It can be processed on the spot. I am currently holding a class D probationary license. Is this under Seksyen 43 of the APJ which carries a 15 point demerit? “Cuai mengakibatkan kemalangan jalan raya” violates Section 44 of the R.T.O. 1987. Yes, you are right. Under Demerit System, it carries a 15 points. I have a question regarding to the “P” license. My question is, how many demerit points will he get? And he’s now go overseas study, if this coming one more years he didn’t drive and didn’t get any summon, will he still get he CDL license after this? Your brother has violated Section 58 (2) of R.T.O. 1987. Under Demerit System, your brother will receive 5 demerits points. For a “P” to be banned, one needs to accumulate 10 demerit points within a year! Looking at things, my opinion is your brother license should be O.K. My friend recently borrowed my car to KL. Unfortunately, I forgot to replace the old road tax with the new one. The new one is at home. He was fined and apparently the officer said his license will be suspended as hes still using P.
I would like to ask what is the demerit for this offense? How long is his license going to be suspended? Is there any way he can appeal as it is not his fault as it is my car? And can I appeal to pay less for the fine as I am a student. Presently, I am unable to quote the offense your friend is charged. Will try to find out the answer to your question soon. Yes, you can try making an appeal. I would like to ask that my P license due date is on 16 of April 2010…it is possible i convert my P license to CDL license on 16 of April 2010 early on one days renew? or must be on 17 of April 2010 only can renew for it?? i would like to seek for an answer. Thank you. Yes, you can change your “P” on 17th April 2010. Cikgu Yap , i had a problem . i got a summon about not have sticker “P” in front and rear of motorsikal and road tax had expired for a period by PDRM . That summon stated a date and time that i need to go to the court , i really need to attend it ? but in that time i will have been staying out of state . And will it be the cause to suspend my “P”? Having no P stickers front / back is serious offense. Pray that your P license is not withdrawn under the Demerit System. For road tax expiring, you will obviously get another summons. No matter what, ensure you attend the court case. how to know weather our license is still valid !?!? can we check it online? A one piece license has the dates embossed onto the license itself. For license which have 2 pieces, the 2nd piece has the dates on it. My “P” license is going to expire by 11/11/10. So, what I have to do is to renew my license before that date right?? I wanna ask if I have to sit for any tests if I were to renew my P license. Have your P changed to C.D.L. on 11/11/2010. No test required. Hi sir! I got summon yesterday.. i got summon about crossing double line and My `P` license is going to expire on 19/09/10. So, how much i have to pay the summon and how about demerit system.. And will it be the cause to suspend my “P”? Your summons should probably be around RM150. Overtaking at double line appears to be a minor offense. Even if points are deducted under the demerit system, it should be a problem as to affect cancellation of your P license. I got summon last month (18 May 2010) for not putting P stickers..
My P license expire in 2 days time (24 June 2010).. But they wrote in the summon paper i have to pay the compound on 22th of June.. I planned to pay the compound today, as in later… Would they suspend my license? If yes what the best way for me to do? Should i wait until i change to C.D.L first or pay the compound first? Thanks in advance for reading..
My advice is pay up the summons first before 22/6/2010. Then quickly by 24/6/2010 change your P to CDL. I’ve got into an accident yesterday. But, it wasn’t confirmed whether or not it’s my fault yet. The thing is, I’ve got in to an accident beginning of this year which i already paid the compound. Apparently, a letter should be issued to me earlier this year about my “P” license. But, i’ve not received it. And, stupidly i got into another accident yesterday. And, yes we filed a police report. I guess i stand a very high chance in losing my “P” license. Is there anyhow that I can save my “P” license. By the way, I only got my license end of last year which does not make my “p” expiration any closer. Regard to your accident, it’s surprising the officer failed to inform you if you’re wrong or not. As regards to your last accident, the summons of which you’re already paid up, not all accidents are given demerit points. Do not be unduly worried. Wait for Putrajaya to make the decision later. i met with an accident a few months after i obtained my P license. after reporting to the police & paying up the summons, there was no news about suspending nor revoking my driving license. it has been almost a year and a half now, and my P license is about to expire. does it mean that i have to resit the whole exam again once my license ends? but i didn’t receive any news regarding my license after that incident. No news is good news. When you “P” period is up, quickly renew it to CDL. My name is Nicholas, I would like to ask your suggestion. What if that person have 1 summons from PDRM because no driving license, can the person apply the driving license? If the police summons is a compound summons, pay up the summons at nearest police station. If the above has not led you to become blacklisted, yes, you can enroll for driving lessons. Today I tried to renew my road tax and found that it was blocked. After some investigation I discovered I have 2 outstanding summons against my name for speeding dating back to 11/2007 and 1/2008 … but I only got just received my “P” license last month! The speeding offense must have been committed by my wife who has been the family’s driver until now although the actual ownership of the car and insurance has always been in my name (despite my lack of license) with my wife insured as a named driver. What can I do? If I go and pay the fine then it seems I will lose my “P” license, but if I don’t pay the fine then I can’t tax the family car. My wife has an British / International Driving License. I guess I need to go to Wangsa Maju JPJ and try to sort this out but I don’t have the first idea how to handle this. Any ideas? You will have to go to JPJ Wangsa Maju to explain to them your predicament. As you only got your “P” recently, your wife will obviously have to bear your car’s last 2 summons. She”ll have to bear the consequences, not you. i was involved in an accident last few weeks. i had to make a police report since i wanted to claim the insurance. so heres the details. my P license started on 18/11/2009 and will expire on 17-11-2011.
i got the summon from PDRM for “kecuaian jalan raya” and i had to pay before 28-11-2010. 3. can you explain a bit about the “1 year=10 merits”. because in my understanding. i now hv 10 merits right? so does it means that on 18-11-2010 i will hv another 10 merits automatically? if it does then that would mean that i will hv 20 merits accumulated by then right? Not all traffic offenses carry demerit points. Whether demerit points will be awarded to you or not depends of JPJ Putrajaya. When time come to pay your road tax, go ahead and pay it. Who knows, you might be lucky and have no demerit points against you. My advise is, do not be unduly worried. somehow thats comforting to hear. Glad to hear you’re relieved. I am on my P license now & i have two summons – for speeding above 26km (caught last year Aug 2009). i failed to stop at red traffic light (in May this year). my license is due to be expired on 29/10/10 & I am concern that my license will be suspended. What should I do now? shld i avoid the summons now & renew my P license to CDL first? and later pay the summons? please advise! A “P” license should not commit the offenses you did. Speeding over 26 km/h will get you 8 points. Not stopping at a Red traffic will get another 10 points. A “P” license who gets more than 10 demerit points within a year will have his license suspended. Unfortunately, in my opinion, you are on you way to losing your hard earned “P” license. A quick one, just to clear myself. – so my understanding is that above 10 points (means 11 or more) , the license will be cancelled? Or if u have reached exactly 10 demerit points, the license automatically will be suspended? When you reach 10 demerit points, JPJ will decide whether to suspend you or otherwise. Anyway, such things take time. Intotal 4 cars was in the accident including me . at the end of the day , according of how they follow things , i was to be blame of the damage at the police report . I have no idea how many points i was demerited or whats gonna happen next . I checked the Jpj website and i have no records yet.Is it a high possibility that my license will be taken away ? Please advice else my mum has to fetch me every morning to college then … would be a big hassle for her..
You should have considered the consequences and drive carefully. Talking about it now is of no use. Only after you have settle your summons, will JPJ decide on the demerit points. I receive a summon from pdrm for cutting using emergency lane….and im with my p license and going to renew my p license in 1st of September…..will this affect that i can’t change my p license to permanent license?? And how much do I need to pay for and will I get demerits? A police summons varies from RM100 – RM300. Summons normally payable within 1 month. You may or may not be slapped with demerit points. It all depends on JPJ. i had a accident just now ~ and im still in a P license ~ then just now im driving my moms car back home ~ then when in a junction some 1 bang my car from the back (right door ) then thats was my moms car with out P sticker on it ~ so now will my license be pull back or gantung? It looks like a minor accident. Anyway, an accident must be reported within 24 hours. You have to drive carefully. “P” license can easily be suspended. If you have the other party’s car registration number, you can continue to make a police report against him. With the above police report, you could then make an insurance claim against the party concerned. Cikgu Yap i need your help.. last time i hit a car then i report to police and i guess they deducted my mark and now i was caught red handed using phone when driving.. so will my P suspended? The way you are driving, it’s my opinion your “P” will be suspended shortly. So do be careful. so will the handphone summon deduct mark? Demerit points for using handphone is 8 points. My P expired in 2009 but I thought its expiring in 2010….now I’m 1 year and 4 months late to renew it to CDL. What type of problems can occur when I want to renew it? How can I explain them my situation? 1 year 4 months unfortunately has made your P license null and void. Anyway, you could appeal to JPJ. I was involved in an accident like some of the others above. I understand that we have to make a police report in 24 hours. As for whether I will be demerit, it depends on the JPJ. rite? I knocked into a car, but the car owner wasn’t there. The car had a minor damaged, not a serious one. Should I lodge a police report as I have to consider the risk of suspending my P license. I have another year to go. Or do u advice me to wait and see if the car owner lodge the police report? Thx a lot for ur prompt reply. Correct, accidents ideally be reported to police within 24 hours. Only you can determine what you should do in such a situation. The accident seems too minor to warrant a suspension of your P license. I am still a ‘P’ driver and unfortuunately had involved in an accident on february.I had made a police report and the police said that my case was a 50:50.However, i still did not received any summon letter.Does that means that my license will not be suspended?However, the third party had file a claim on my insurance.But up till now i still havent received any summon letter.I am very worried that my license will be suspended.Will my license be suspended?or i will received my summon letter a few months later or maybe a year?? Little but unusual for police not to issue you a summons if you’re wrong. It’s now near 6 – 7 months after your accident. No action can be taken against you unless you’re fined. My suggestion is don’t be unduly worried. When or if you’ll receive the summons is anybody’s guess. With the police report, the 3rd party can make a claim against your insurance. Yeah the 3rd party had claim against my insurance already.=( Regarding about getting one’s license suspended..cikgu,is it up to the police,jpj or the court to suspend our license?im still worried about it…and it has been almost a year already. What happens if after an accident, we didn’t report to the police within 24 hours? Can we still claim insurance if we file a report after 24 hours? Are we going to get saman? Will our P be revoke? Yes, you can still make a police report after 24 hours duration. You may or may not be summoned for your action. It depends on the police. Whether P will be affected or otherwise depends on the type of accident you’re involved with. I have a P license that expires the 12/12/2010. I am currently living in Vietnam and I have scheduled a business trip to go back to Malaysia the first week of December. Can I use this business trip to renew the license, let’s say the 1st of December, or it has to be exactly the 12th? If not… do I have to renew it in person or I my friend can go to do it for me? You can only change your “P” to CDL on 12th of December 2010. Your friend or relative can renew it for you. I got into a bad accident. It was my fault and im going for my court appearance in Nov. I have gotten a summon for this accident and i think my P license will be suspended. The problem is that i dont know if my license really suspended because no one told me. Furthermore, if it does get suspended, what do i do? PS: My license expires on Jan 2011. Attend the court hearing. As you have not described your offense, I am unable to make a decision as to whether you are right or wrong. i’ve got into an accident mid last year and police report and summon has been made and paid. unfortunately, just hours ago another accident happened again and this time someone had hit my car. i need to do a police report for the insurance claim, but before i could do so, i am worried whether i have any demerit points from the 1st car accident as i am still holding a P license. how do i find out about my P demerit status ? would my license be revoked if i were to do the police report tomorrow? my P license expires 21/04/2011. As no one seems injured, you will most probably not be given demerit points. To revoke P license takes a long process. Should you need to make an insurance claim for your car, go ahead, my advice is make the report. From what I can see, the demerit is mostly when the driver is on the road and cause an offence. What are your opinion in regards of parking summons? Does that influence the P license points? Usually, parking offenses are not given demerit points. hi. i maxout the kejara maximum point nearly year ago. and i know my license will be suspended & revoked. And I’ve go to the jpj website “khidmat pelanggan” section to ask for more info, they said the jpj HQ will send letter to inform me. but untill now, there was no news or any letter about suspending nor revoking my driving license. Not all summonses are given demerit points. So don’t be unduly worried. As the say, no news is good news. My friend is holding a P license and it’s going due next month. I would like to ask, can I on behalf of her go change the P to CDL?? If I can do so, where should I go?? And example it due on 21st Dec, can I go change it b4 the date? You can change the P license on your friend’s behalf. Go to a branch of JPJ. You cannot change P into CDL before the due date. then how about after the due date? how long duration can be use after due date? After P period over, it cannot be used to drive a vehicle. Do not allow it to lapse more than 1 year. it will become null and void then. I am glad i found your blog, been reading through, very impressive, thank you for sharing and solving most of the problems here. I am a foreigner here, I have a P license, my purse was stolen two days ago and it had my license in it. It was issued in putra Jaya, I live in Subang-Jaya, considering the distance, can i go to JPJ in Petaling Jaya? I have my police report. Your appreciation is noted. Sorry to hear you’ve lost your license. Yes, you can go to PJ to do your duplicate license. No police report required. But you’ll be fined RM20. Be careful next time. i have a problem with my P license. last year, i was summoned for not having Pstickers at my car.i noticed that, i am my way to lose my P license. If blacklisted, you can’t change “P” to CDL. Hi Cikgu Yap, today I got a summon for running a red light which I felt that was wrongly penalised. its my first traffice offence but my P license ends at 17th March 2012. Am I in any trouble? its a 10 points demerit increment. The court hearing is on 14th April and he said I have to settle my fine within a month. Beating the traffic lights can cause your P to be suspended. It’s up to you whether you wish to settle the outstanding summons or wait for the court summons on 14/4/2011. Alternatively, you could wait till 14/3/2011, change your P to CDL and then settle your summons. I received a summon to go to the magistret court at Jalan Duta on the 25th of April 2011 because my road tax has expired for almost 3 months. I’m still on my Probation license and I would want to find out how much demerit will I get? I have read some of the comments and it seems to me that I’ll most likely get another summon (does that mean a fine or another court meeting?) . And , is it neccessary to pay on the spot? What is the maximum fine for expired road tax?? Thanks so much! Sorry for asking heaps of question…! Road tax expired falls under purview of Magistrate. Appeal for a lower amount. Be courteous when addressing the judge or magistrate. You should prepare a certain sum of money when appearing in court. Normally, fines are paid on the spot. Usually, road tax offenses carry a fine of RM300. Actually, it also depends on the judge. Putrajaya will decide how many demerit points you’ll be given. my license will finish in 2012..
how can I inform this to JPJ? so I won’t get demerit points? Cars under your name is your responsibility. If you can get the person driving your car, then may be the summons could be altered. But in my opinion, it is a big hassle. sir i would like to ask if my car is tinted black with the P sticker hardly seen will i ever be summoned?? is it a big offence till my license P can get revoked bcos of tinted car??? Heavily tinted cars are against the law. Whether your P will be revoked because of it is a different matter. Comments like yours spurs the blog on! Correct, speeding over 40 km/j will get you 10 demerit points. Once the summons is settled, most likely JPJ Putrajaya will take action. Whether police of JPJ that issued the summons is not important. Action taken will still remains the same. ok i had an accident. a minor one just a dent. the other guy said ok i pay him its fine. now i need to fix my car. i need to make a police report in order to make an insurance claim. i’m a ‘p’ license holder. can i lie and say i hit a wall or something in the police report. coz i’m afraid that i get suspended if i tell the truth. thanks. Since it is a small accident, repair it yourself. sir…i’m P license holder, I driven the van at 27/2/2011, and i get the summor for didnt have P sticker…i paid the summor in 28/2/2011. My P license expired on 20/10/2011…what should i going to do? ?and the license were be cancel?? According to new regulation, with effect from 1/3/2011, by settling your summons, demerit points will not be awarded to you. A person who settles his summons quickly will not have demerit points awarded to him. As your statement above, does it means if I got a summon which will deduct my demerit points, but I pay it immediately within a certain period, then no point will be awarded? How quick is quick to settle the summon? I have a speeding summon on Jan, and i pay it via MYEG as soon it appeared. Does it mean it wont be updated at all into the system? As I see from MYEG, the date of last update is a year ago. The rules regarding summons keep changing so often that to be frank, I myself is so confused with it. Since you have paid up your summons, let’s hope no demerit is placed on you. The best thing is try to avoid getting any summons. How does we know our P license will suspended? However I never receive any letter say that my P is suspended. I already settle all summon above. my P will end this nov2011, thankyou for your view..
You have been lucky so far. Or maybe it takes some time to update your records. You may even receive a letter from Putrajaya about steps to suspend your license in the near future. there was an accident recently when a driver was turning right into a road but collided with a motorbike which was moving quite fast from her back. the motorbike was on her right. the driver still has the “p’ license and has another one year to complete. She has made the police report. Has to wait for 2 weeks for the siasatan. i was just wondering in this case what will happen to the license? thanks. A driver who has reached a junction ahead and has given the proper turn signals should ideally not be overtaken by any vehicle coming from behind. It looks as is the motorcycle was approaching very fast and furthermore he shouldn’t have overtaken the car at an approaching junction. What happens to the P of the car driver, will depend on further investigation. Hi, I am a “P” driver. My question is that can I register a car under my name yet? Just wanted to ask, recently I got stopped by JPJ as the roadtax on my car is expired, because my dad and i somehow didn’t realise. And I was having my exams period at that time too, so wasn’t aware. He asked whose car is this and i said it’s my dad’s. The officer just gave me a ticket to appear in court in September to pay the summons and asked for me to rayu to the judge. But my question is, will I be able to change my P to CDL as mine is expiring on this coming Tuesday? I’m planning to go on Monday. Try asking JPJ if the summons can be compounded. before September to avoid going to court. If so, you’re advised to settle the summons. You should face no problem changing your P to CDL on Tuesday. This is only my opinion though. I was driving in a 2 lines road and then suddenly a car came to the middle of the road from side ways and she wanted to make a U-turn so she blocked my way and her car was slanted in the middle of the road and I could go no where so I hit her car from back, so can you tell me whose fault it is ?! If looks as if the lady who came into your path suddenly appears to be at fault. You are advised to go to the nearest police station with your photo evidence to fight out your case. But as a foreigner, I feel you will face a lot of hassle. I see, I went there and they said the report hasn’t come out yet, so is that correct if I go and check the summon for my license on JPJ and if there is no fine, it means that my license won’t get suspended ?! Sir I have 1 more question, let’s say there is no sign of U-turn in a road and there is also no sign that U-turn is forbidden, so in that place are we allowed to make U-turn or not ?! U turns are never encouraged. It’s dangerous. If while doing a U turn you are involved in an accident, then you’ll be responsible. Normally, a P license cannot be converted earlier. No choice, you’ll have to wait until Raya is over. Hello sir, I somewhat left a dent on someone’s car while driving in the heavy rain 5 months ago. I didn’t manage to brake in time and kissed his rear. I trailed him but he didn’t seem to want to stop and settle the situation. I fled after following him for a while. I, being a scared 18 year old who met his first accident, kept quiet and did not report to the police or my parents. Just now my dad called inquiring whether I bumped someone’s bumper. I’m guessing it’s a police case already. Am I in a big trouble for being ignorant? As I said many times before, “ignorance is no excuse”. If the person you knocked at the rear knows your vehicle number, he can very well make a police report. You will finally be traced via JPJ records. It is suggested you tell your family the real situation. Explain that you were scared then. I’m sure your family members will understand. Cikgu Yap just now i had been caught by the traffic camera for running a red light..I’am a “P” Licenced driver and it ends in another 12-13 months. The car isn’t registered under me so when the letter or summons come will it be in the car owners name? Im a little freaked out as it was my first offence and i have never experienced this before..There are “P” stickers on the car and everything so it was just one offence..And from reading through everything you wrote and reading the comments it is 10 demerits that might suspend my licence right? I’m so worried..Will the fine be cheaper if i pay very very early? I still have to wait for the letter or summons to come right? How long usually till it comes? Pay fine upon receiving the summons. Normally RM30 for beating traffic lights. Anyway, the summons will be issued to the vehicle owner, not you. Thank you Cikgu Yap..is it RM30 or RM300? The summons is RM300. You can try appealing for lower amount though. Cikgu I got a RM 550 parking summon somewhere around October. I policeman jsut placed the ticket on my car as I wasnt around. The problem is im still having my P license, so if I were to go and pay for the summon would they ask for my license and demerit me because they wouldn’t know who did the offence. I never heard of a parking summons for RM550. Your summons I presume, can be compounded. Anyone can settle it. Demerit points, I feel, are not affected. Hi cikgu yap! Two weeks ago my friend drove my car and accidentally scratched on a car. We went one round and came back and the car was gone. We wanted to apologize but the car went off. And now his lawyer sent us a letter and ask us to go to the police station. I’m just a probationary driver. How many points will they deduct? It’s only a minor scratch. Nothing big. The driver whose car you scratched appears bent on taking action against you. Make a report at the police station. Try to settle with his lawyers if possible. I had my license plate changed to another font and was summon for “Dirty/Vague/Fancy Plate No.” just recently. The officer told me this in BM “License please. This is P license, it is serious. I am going to issue you a summon for etc etc etc. I will summon you ok.” I just replied to him “OK”. I kind of felt that he was contemplating on duit kopi but as usual I will never ever give them. Then he asked me to settle by or before 16/7 ..should be around that date. The thing is, the got my IC no. correctly but one wrong letter for my car no. plate. I would like to ask, is it valid even tho by having my IC correctly written but with a wrong number plate? For instance mine is WVF..but he wrote WFF? Is he giving me a chance or he really wrote wrongly? If it is valid, what’s the demerit value? This is my first time getting a summon by the PDRM since i got my P..
You have infringed Section 12 (1) of the RTO 1978. The fine is about RM100. Your summons, through written out with errors, is valid. I feel no demerit points are involved. Can I just pay through the MYEG website or I am required to go to the police station? Will the price me of any difference? I am required to pay a fine of RM150. Pay at police station only, You infact violated Sec 14 (1), not 12 (1). Hi my sister was involved in an accident yesterday. The driver was trying to make a u turn from the left hand side of the road to the right hand side of the road and continued to make the turn after my sister beeped. Now he is saying we hit him from behind and is demanding that we pay for the damage. My question is how many marks will be deducted for a p license for being involved in an accident? And who do you think is right in this situation? The right hand driver side of the guys car was hit with the left side of the front bumper of my sisters car. The person who attempts to do a U turn on a main road is in my opinion, in the wrong. Make a police report immediately. Do not be intimidated by unfair demands. Let the police decide. Hi cikgu i’m new learning.I set for JPJ driving test four time.most of time JPJ officer put in fail. went i as JPJ offices mention that mean i tipu..
first day bukit ok packing break four time fail. second day bukit ok packing langgar tiang.but tiang still standing position. You have done your parking / slope test a total of 4 times. I feel you have not been well prepared for each of the above tests. You should learn until you are well prepared before you go for your tests. I had summone by traffic last time for illegal u-turn. i did not see the board. I paid y summose 2 month later as while on discount rate. My P expires on May 2012. Can still be able to renew. Can I renew early 3 months before as i will go to overseas for some time. You should have no problem renewing your P in May 12. Renew only on due date. I have been involved in a car accident yesterday. A motorcycle ran into the right side of by car’s back break light and shattered my windscreen. He’s in the hospital now and I’ve already made a police report. My question is, will my P license get suspended for this accident? The photos of the damage of my car was clearly visible that the guy banged into the BACK of my car when he was switching lanes. Is it considered my fault (cause he’s a cyclist and im a driver)? and if so, if the police issue me a summon will my P license get revoked or suspended? Looks as if the motorcyclist appears to be at fault. However, if you should be attempting to make a turn or changing lanes, then it would be a different matter altogether. Then you’ll be considered as having driven in a careless manner. But as you claim, the motorcyclist was switching lanes and knocked into your back, then obviously be would be at fault. In my opinion, the police will therefore not make any summon against you. As such, nothing will happen to your P license then. Oh okay thanks! But just in case, what would happen IF the police decides to make a summon against me? Laws are expected to be fair. If police feel you’ve done something and they wish to punish you, you will then have no choice but to accept it. My son got his “p” licence about 5 months ago. Yesterday, when he was about to properly park the car infront of the house, he accidently hit a passing car, hitting the left side of the other car. The owner of the other car suggest that we all make a police report for the purpose of claiming insurance. My question is: if my son is summoned the police ( because he hit the otherguy’s car, will my son lost his “p” licence due to the demerit system? In such incident, how many demerit points will my son get? Your son’s reckless and careless driving, the demerit system, if enforced strictly, recommends a 10 point penalty. The above will automatically cause your son’s P license to be suspended. However, as no one was injured and your son being a 1st time offender, the authorities will likely offer some form of leniency. This is but only my personal contention. Hi, im a foreigner here, i just recently got my P license. Today i had accident near the school. I wanted to make a u turn and i hit the big school bus which was parked near the road. The bus is scratched a little bit, my car’s right side bumper is a bit damaged. I tried to look for a driver of the bus but he wasn’t there, so i just drove back home not to create the traffic jam in the road. I was driving ac car of my mother in law with P stickers. What would you advise me to do in such situation? Although you were wrong making a U turn near school premises, considering the damage caused was minor and you are unable to locate the bus owner, nothing much you can do. Just forget about it. I doubt you will be given any grace period. Looks as if you will have to do Part II and Part III all over again. hi sir . i’m P license holder . I’ve been summoned for didn’t have the P sticker on July 3 2013 . I paid the summon on July 16 2013 . My P license will be expired on October 13 2013 . is my license ‘withdrawn’ due to the 10 demerit points ? You will have to wait if Putrajaya takes action against you under the demerit system. I am a ‘P’ license holder. 5 days ago I involved in an accident when Im making an illegal u-turn nearby the school area around 11am. When i made a u turn, there was a motorists came suddenly ( dont know from where) and bang my car. He was injured ( left hand elbow fractured) and brought him to the hospital. Then I had made a police report about it. My question is how many demerit will i get and will my license will be taken away. Up to JPJ whether to take action on your or not. I was involved with accident today, as I tried to change lane towards a flyover (on the left)suddenly a motorist (from the right side)out of nowhere hit the side of my car and slid on the road. he was injured pretty bad. I made a police report, he’s going to do soon. I am also a P license holder. The police said that I might have the chance of my license will be taken away. Is it true? I never been summoned or done any fault on the road. You have driven dangerously causing a nasty accident. Under the Demerit System, your license might be suspended. Do drive carefully the next time around. Dear Cikgu Yap, my license was expired on 10/2/13 and i was summoned for driving the wrong way on 19/10/2013, in this case will my license be suspended? what can i do? Pay up the summons. Your offence appear trivial. I feel no action will be taken against you. im a p license holder..
around 3 moths ago i met in an accident where i hit the car infornt of me which applied the emergency brake. according to the police officer it was my fault as i was the last person. when i asked him about any p license suspension he said he doesn’t know about it..
my question is will my p license be suspended ? and how many demerit points will be deducted? You have done your part as it is. I believe the demerit system will not enforced upon you. Recently i attended a wedding dinner and had 2 glasses of wines before i drove off home. I got stopped at a roadblock and my reading shows 0.59 but seeing that I am a P driver, i was detained and asked to attend a court session. During the hearing, the judge fined me RM1000 and revoked my license. Can I appeal on this? What are the steps that I can take. Please advise. I need help on this…. Your license will be suspended for at least a year. When you are a P driver and got caught with DUI, appeal will not be entertained. JPJ will suspend your driving license. Redo your test all over again. You can choose to drive without a license, but if you are unlucky, you might get caught again. With your existing license suspension case, your next fine will be heavier. Big problem is when you get into a serious accident because the insurance company will not cover you due to your license suspension. Most likely legal action will be taken against you to recover the damages. I hit a motorcycle today, at the T juntion i think, I drive a little bit to the front and i didn’t know there was a bike at the right because he’s riding it a little fast i think. Then he just hit my car at the same time that i go a little bit front. So it was my fault right? I got scared that it was my first time. Its almost 2 years that i never had a car accident, will the police officers revoke my P license?? You’re wrong. You’ll probably be fined. I was involved in an accident earlier this morning . I was making a turn in a junction with a green light . But unfortunately a car hit me fron the side and damage my front side of the car . So i lodge a police report but theres a bias situation here as the pegawai penyiasat is a friend of the guy who hits me and i want to know ur opinion and what will happen to me and my license and the conpound ? Let police decide who’s right or wrong. If the other party makes a police report, investigation will reveal your name as the registered car owner. Be ready to be hauled up for your friend’s wrong doing. My son has P license. He involved in an car accident. 1st time traffic offence. No injuries. Summoned issued by police station and paid. 1) His P just 9 months old. Will his P be suspended? 2) Will JPJ putrajaya issue suspension letter if JPJ decided to suspend him? Your son’s accident appears trivial. You have to wait a few months to see if JPJ takes any action. My son has a P license. Had a very minor accident. knocked into someone’s back cracking his rear bumper. If reported to police, how much fine and how many demerit points? The fine is RM300. Trivial incidents, no demerit points. Can i reneiw my CDL licence in advance ..mine going to expire in 3months and i am planning to abroad for work in next month. My son got his ‘P” licence for car in July 2014. Yesterday he was summoned for riding a motorcycle without a motorbike licence (and without P sicker on the vehicle. He was fined RM40 and he paid the summon. I am worried if the summon carries demerit points and affect his CDL later, please advise. I feel your son’s P not affected! But, don’t test your luck too far. Thanks for the feedback. Hope this young man learned his lesson. My wife’s a P driver and the car is registered to her. I was driving over speed limit using her car and now i checked, she has a summon. Will she get the demerit point ? if yes, can i appeal and to state that i was the one driving ? By acknowledging you’re the person responsible may likely avoid your wife’s P status being affected. I got summons when i went to KLIA2 for receiving my parents. I parked on road side for 10 mins, and jpj officer given summons. He intially told to pay 250 RM. Later he was changing offence and make to pay RM 50. I settled the amount. I am a P license holder. How it will effect my P lisence when it convert to C. How many demerit points i will get for this offence? As you have already settled the matter, it will have no effect on your license. Hi, I’m a p license driver. I just got into an accident today and it was my fault and my p period is until October 2016. I have recently got myself a summon for excess speed limit of 20 and I would like to know will I get my license suspended if I report the accident to the police and it’s my fault to be blame on? I was actually driving my mum car at the time. My P licence almost 2 years. My P licence did not get suspended or fined while this was my first time hitting the motorcycle at persiaran kewajipan. The motorcycle was on the fast lane while i still signal when trying to change to the fast lane then suddenly the motorcycle was on the fast lane and i accidentally hit the motorcycle. The motorcycle guy wasn’t injured. Once my P licence is expired. Do i need to resit jpj test again? It seems like a minor incident. If both parties did not make a police report, forget about it. Be careful next time.